Focused on sharing Living Well and helping others to live healthier lives, our Health & Wellness Specialist Team is here to support your health and wellness journey. Nathan's background is in food, nutrition and dietetics, and he has focused most of his professional career in preventive health and wellness with healthcare systems. Prior to SpartanNash, Nathan used to sell and provide preventive health services managing the Executive Health Program at Metro Health Hospital in Wyoming, Michigan before coming over to help build the Health & Wellness strategy for SpartanNash. At Metro Health, he was able to develop relationships and improve the health of companies around the world. Nathan strives to be a positive community leader, encouraging everyone to live a healthy lifestyle. He enjoys working with our community partners and sharing our Living Well message. 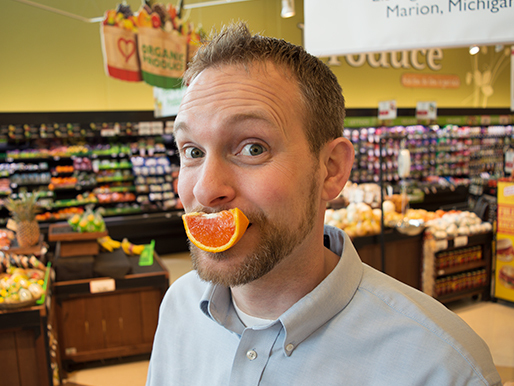 Nathan now supports all Michigan retail stores by driving health and wellness initiatives on a daily basis as a Regional Wellness Specialist. Stephanie is a Registered Dietitian/Nutritionist (RDN) and promotes Living Well through the power of food to maintain and improve health. Her first job was in a supermarket and is where she found her passion. Stephanie is as much of a foodie as she is a dietitian, and she enjoys the many colors, flavors, textures and dishes that bring us together around the table. Stephanie believes food is a central part of life and when balancing our choices in ways that promote health, we can fully enjoy and live life to the fullest. 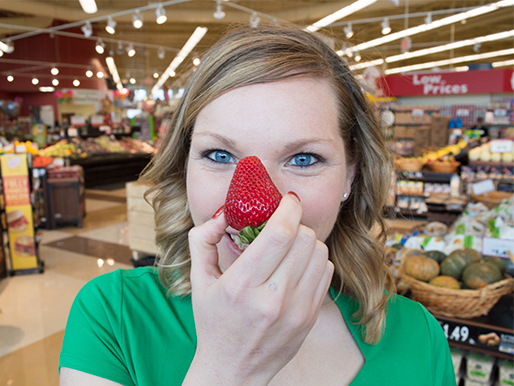 In 2015, Stephanie was named as a Produce for Better Health (PBH) Supermarket Dietitian of the Year and today she supports all Omaha, Nebraska area retail stores by driving health and wellness initiatives on a daily basis as a Regional Wellness Specialist. If you have a specific health and wellness question, please email our Regional Wellness Specialist Team.